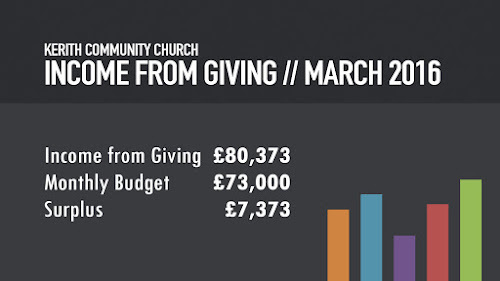 As you can see below our giving in March was excellent - praise God. A huge thank you to everyone who gave for your incredible generosity. 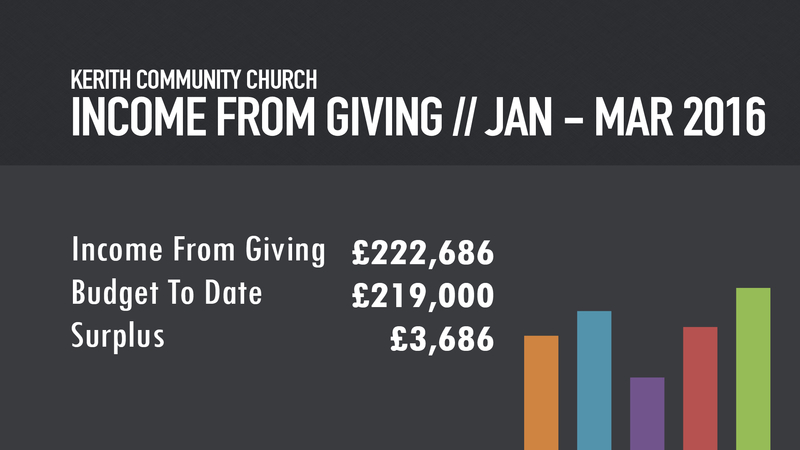 It wasn't too many years ago that we were praying for £10,000 a week in the offering. It's amazing to think that we're now pushing towards more than twice that - let's be praying for that to quickly become become the norm for us as community. 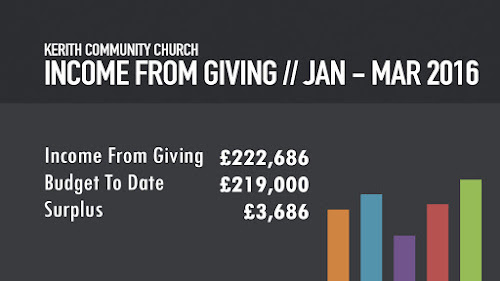 In addition to that we also received £25,500 from our March generous gifts days. Again a huge thank you to everyone who gave. 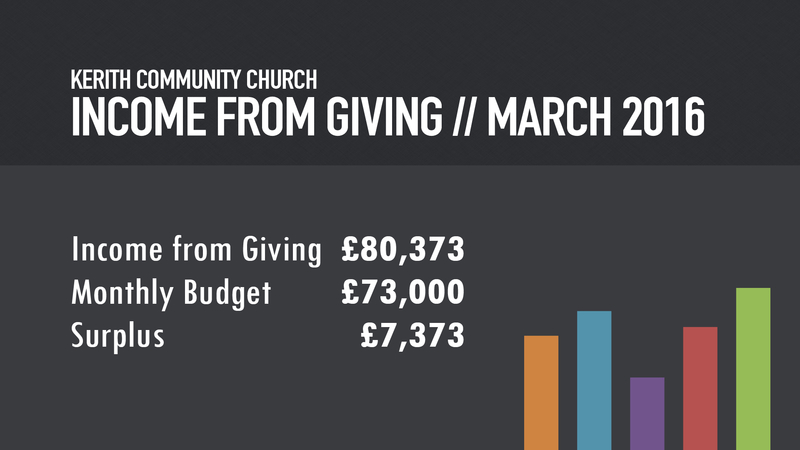 The surplus in March means that we're now ahead of budget for 2016 by £3,686 which is very encouraging. All of that would make a huge difference, so let's be praying for the surplus to continue growing as the year goes on.